FastPay is a financial technology platform that reduces friction and unlocks capital for buyers and sellers across the media landscape. 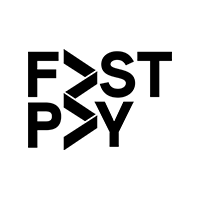 Since its inception in 2009, FastPay has secured the movement of more than $5B in capital providing access to hundreds of millions of dollars in deployable capital from partners including Citibank, Wells Fargo, and Oak HC/FT. Its leadership team brings decades of credit and payments experience from Green Dot Corporation, Capital One, Morgan Stanley, Goldman Sachs, and Skrill.